This column is adapted from the current issue of Truth and Consequces, Michael A. Cohen’s weekly online newsletter. To subscribe, click here. The year 2017 should forever be known as the Year of the Dumpster Fire. Actually, maybe a better description would be the Year of the Dumpster Fire, inside a dumpster fire inside a larger dumpster fire. For Democrats it’s been a particularly awful year. Republicans control both houses of Congress and the White House. Even worse 2017 has seen a full-scale assault on not just progressive ideals, but also bedrock democratic norms and basic decency and morality. It’s led many a Democrat to question whether America’s best days are ahead of it and, worse, to weather attacks on the rule of law and democratic principles that once would have seemed unimaginable. Finding a pony in this pile is not going to be easy, but ironically there’s good reason for those on the left to be optimistic. In a weird way, 2017 may herald a brighter future for progressives than if Hillary Clinton had been elected president. On the surface that sounds like a controversial notion, but hear me out. 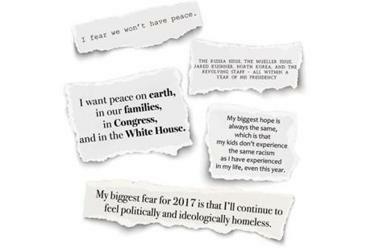 A group of respondents from across the political spectrum expressed their hopes and fears for the new year. Let’s consider the current political moment. Donald Trump is president, which is bad for Democrats. On the good side, even with a strong economy, low unemployment, and peace overseas (for now), Trump is deeply unpopular. Indeed, approximately half the country strongly disapproves of him. 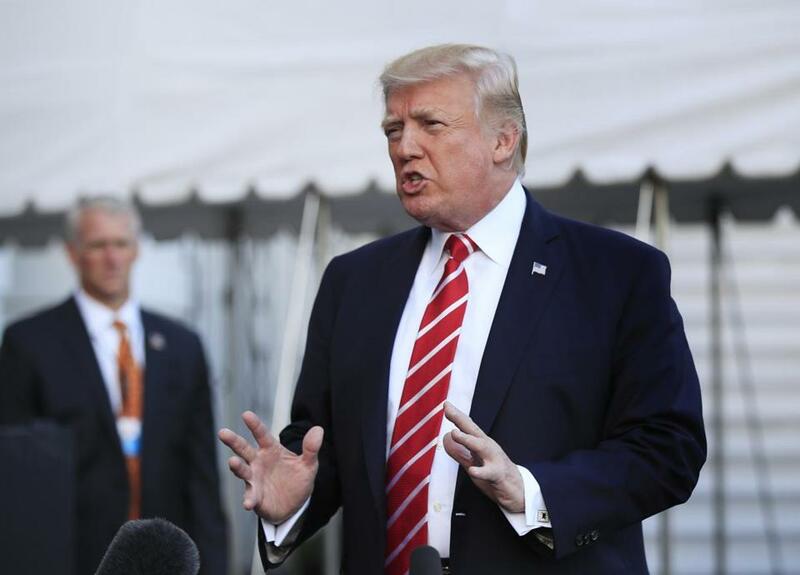 Those numbers are unlikely to get better for Trump because the things people don’t like about him – his meanness, his unfitness for office, his lying, his corruption, his authoritarian tendencies, his racism, and his general awfulness – are not going away. Trump’s lousy numbers have helped to drag down his party along with him. Congressional Republicans were not exactly starting from a position of strength, but the current approval rating for Congress is 15 percent. Ebola is more popular than this Congress. The bigger problem for Republicans, however, is that they are currently trailing Democrats by 13 points in the generic congressional ballot. And as polling guru Nate Cohn recently pointed out, even 11 months before actual midterm elections, the general ballot question doesn’t generally change all that much. It is a surprisingly stable preview of where voters are likely to land come Election Day. Also, Trump is damaging the GOP’s already poor image among millennial voters and, increasingly, the party is hemorrhaging support with college educated women. That could have dangerous long-term effects for the party. When you combine Trump and the GOP’s dismal ratings with the general unpopularity of their single major legislative accomplishment (tax cuts) and the extraordinary enthusiasm that we’ve seen this year from Democratic voters — capped by Doug Jones upset win in the US Senate race in Alabama — Democrats have to be considered the favorites to take control of the House of Representatives next fall. In the Senate, even with a map that highly favors Republicans, Democrats are a tad below even money to gain the majority next November. If that were to happen it would cripple Trump’s presidency. On the state level, Democrats are poised to make significant gains with a number of governor’s seats held by Republicans up for grabs – including Ohio, Michigan, Illinois, Florida, Massachusetts, and Maryland. If Democrats can win a handful of these seats and at the same time take control of state legislatures (as they still might in Virginia), they could redraw congressional districts in 2020. At the very least they could undo the heavily gerrymandered districts created by Republicans in 2010 that have helped to perpetuate their congressional majority. Heading into 2020, assuming Trump is still president, Democrats would have a reasonable chance of taking back the White House and by January 2021 controlling both houses of Congress (with a larger majority in the Senate) and the presidency. They would do so as a much more united party and one inclined to move forward on a wish list of progressive policy goals — from expanded family and medical leave and new infrastructure spending to health care, immigration reform, environmental regulation and the list goes on. What is perhaps most ironic about this scenario is that if Hillary Clinton had won the presidency in 2016 such a scenario would be far more difficult to imagine. If Clinton were president today Republicans would almost certainly be blocking her legislative agenda. Liberals would be frustrated by how little was getting done. Democrats would be looking at the 2018 midterms in fear that Republicans would expand their majorities in Congress. By 2020, Clinton would be in a tough position to win reelection against a Republican Party with a potentially less toxic standard bearer than Donald Trump. The great irony of Trump’s shocking 2016 victory is that if the stars align for Democrats — and we’re already seeing signs of it — this could end up presaging real progress on a host of progressive policy goals. Trump’s election has woken a sleeping giant of previously apathetic or disengaged voters and it has the potential to fundamentally transform the country.